The 2016 U.S. Presidential Election is not just about voting your conscience, but more importantly about “VOTING YOUR CONSCIOUSNESS.” What does this mean when the two main candidates are both controversial, equally disliked, and voters find themselves in the uncomfortable position of voting for the lesser of two evils? 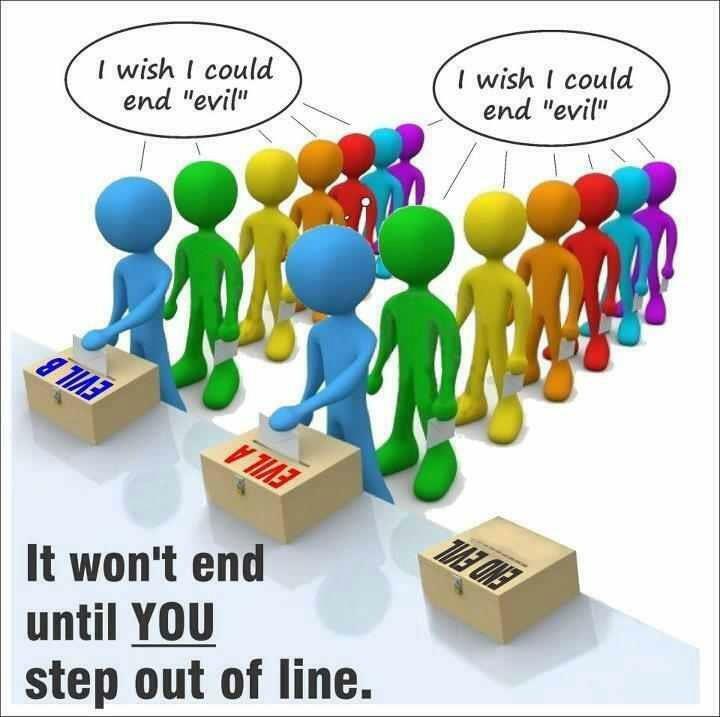 Any way you look at it, voting the lesser of two evils is still voting for evil. When one consciously votes for someone they know or feel to be at odds with their core values, then energetically that person is welcoming that evil into their world. Consequently, they are agreeing to all the ramifications that invite entails. This is how the energetic world works, whether it be for good or evil. It means you can expect that evil to personally touch your life in some shape, manner or form—afterall, you agreed to it. So think long and hard about who you decide to vote for during this presidential election. 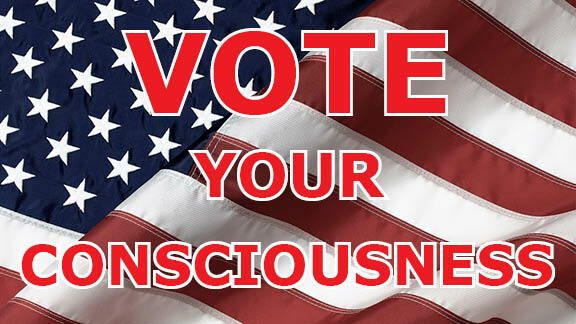 I’m not suggesting abstention from voting, but rather to Vote Your Consciousness. If your consciousness resonates with Trump’s ideals and beliefs, then you should vote for him. If you trust Hillary to put the needs of the people and this nation above all else, both corporate and political, then you should vote for her. A vote for Hillary is a difficult one for many who still remember such past scandals as Whitewater, Troopergate, Filegate, and Bill’s Monicagate during the former Clinton administration. Scandals and investigations seem to follow the Clintons wherever they go and scandal doesn’t seem to be going away for them even today. It can’t all be due to a “vast right-wing conspiracy,” as Hillary claims. Do we really want a leader under investigation for perpetual allegations of improprieties, because you can bet there will be more coming down the pike. A recent Associated Press (AP) poll shows half of Clinton’s own supporters consider her slightly or not at all honest, and more than a third say she’s slightly or not at all likable. Forty-seven percent of Trump’s supporters consider him slightly or not at all civil, 39 percent say he’s slightly or not at all likable and 31 percent say he’s slightly or not at all qualified. Of those backing him, 14 percent consider him at least somewhat racist. It’s time for honesty. If you have any doubts at all about the integrity or true leadership ability of either Trump or Hillary, then heed your consciousness. On a national scale, both candidates show a 67% untrustworthy rating—the highest in election history. These are dismal ratings for candidates seeking the highest office in the land. Is this what we really want for America? Let us not forget that there are other choices out there besides Hillary and Trump. It’s now or never to step out of line and start exploring our third-party options. Consider voting Progressive, Green Party, or Libertarian instead. They might better reflect your true consciousness. 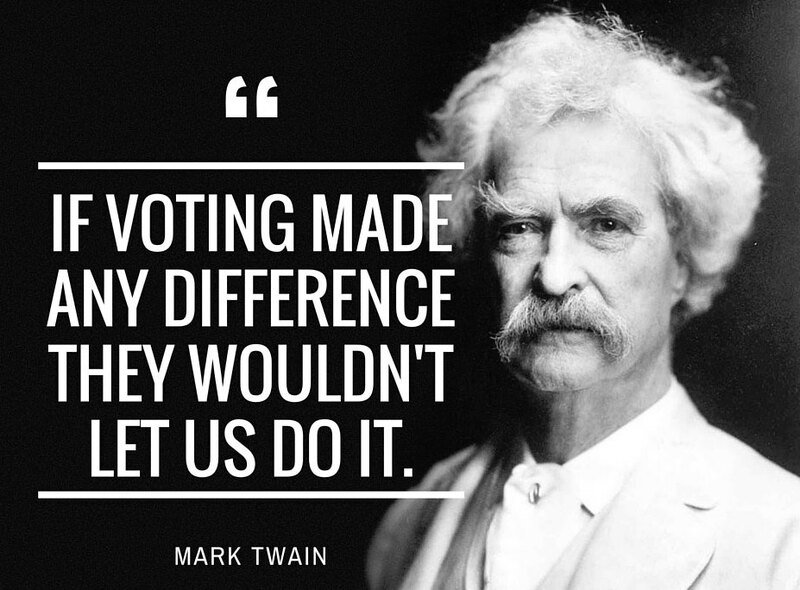 It’s senseless political propaganda that tells you your vote only counts if you vote either Democratic or Republican. Finally mainstream media is beginning to take note and address the matter of voter choice dissatisfaction, as evidenced in this Chicago Tribune political piece on Dr. Jill Stein and Gary Johnson. In any other election year these two would be forgotten candidates, but in this election year their numbers are increasing. If you’re a diehard Bernie supporter and can’t see voting for anyone but Sanders for President, then you should write in his name on the ballot if this means Voting Your Consciousness. We’ve all heard the argument that voting for someone who “can’t possibly win” is throwing away your vote. Wrong. That’s just more political propaganda. No one ever thought Sanders or Trump would ever come as far as they did, so pay no heed to what others want you to believe. They don’t have all the answers either. Our collective consciousness is changing world events and beliefs minute by minute. This is anyone’s game. At least, it’s spiritually better to know you did not compromise your ideals. Democrats are telling us that we have to vote for Hillary, even if we don’t like her, because otherwise Trump will win and it will be the end of the civilized world as we know it. Voting for someone you don’t trust, just because you are scared of the alternative means a vote based on fear. Fear is the great destroyer. Don’t let fear manipulate you and/or compromise your true beliefs. No one should ever have to base their vote on FEAR. This would be the ultimate wasted vote. Yet, how do we know it wasn’t then skewed in Obama’s favor by those who found the rigging? We will never know. Shenanigans and dirty tricks happen on both sides. During this year’s Democratic primary season, there were many voting irregularities in several states leading to class action lawsuits. In my home State of California, Sander’s supporters filed a fraud lawsuit against the Democratic National Committee (DNC) and Deborah Schultz Wasserman for blatant voter suppression and bias towards Hillary. Legal experts are calling such practices worse than the crimes of Watergate. I, and thousands of others Californians who were either registered as independents or independents who had recently re-registered as democrats to vote in the primary, were told when we got to our voting precinct that we had already voted by mail ballot and had to vote a provisional ballot instead. None of us had ever signed up for vote-by-mail. The DNC had automatically classified many cross-over voters in this category without consent. They knew these people would be Bernie voters. As a result, over 60,000 provisional ballots by independents in favor of Sanders were not counted in Los Angeles County alone. Many across California reported similar voter suppression tactics. The DNC clearly stole the vote from Bernie Sanders. His supporters have every right to be good and mad. Their vote was silenced. Thousands of newly registered young voters complain they are completely disillusioned with the entire process. Unchecked dishonesty only invites more dishonesty. Unless things change, this kind of voter fraud will continue to occur. A Stanford study showed that pre-election polls were successful at predicting Clinton’s numbers in states with paper trails, with a clear favoritism to Hillary. However, Clinton over-performed an average of 9% in the states that use electronic voting machines but who fail to provide paper evidence of this vote. Simply speaking, Clinton beat expectations ONLY in states with unaccountable voting machines. Two of the three companies that control the electronic voting machine market, Dominion Voting and H.I.G. Capital (i.e. Hart InterCivic) are on the list of big money donors that donated to the Clinton campaign, as shown by DNC documents recently leaked to WikiLeaks by the Romanian hacker known as “Guccifer”. One would think this would be a clear conflict of interest. Playing the blame game, the DNC and Hillary are deflecting attention away from the shocking content of these leaked emails and blaming the Russians for election interference (as if our own CIA has never done such a thing). The American people should not forget that the blame resides solely with Hillary for exercising poor judgment in the first place. She’s the one that put our nation’s security at risk by using an unsecured private server that anyone could hack, and obviously many did. WikiLeaks warns us there are more leaked emails to come—some even worse than what we have already seen. What new bombshells can we expect? Insiders speculate that these additional email leaks may lend credence to the IRS’s launched investigation of The Clinton Foundation for foreign influence peddling, an allegation that was documented in the recent “Clinton Cash” documentary, based on investigative journalist Peter Schweizer’s book of the same title. It’s amazing that despite whatever new evidence of impropriety or corruption comes to light, many still deny or dismiss these revelations as inconsequential or meaningless. It’s a classic case of cognitive dissonance at its worst. Will all these new revelations affect the people’s votes come November? For some, most certainly. In the bigger picture your vote ultimately only matters to you, not to anyone else. So Vote Your Consciousness since it is highly likely both parties will be rigging and manipulating the electronic voting machines. The Karl Roves of the world will make sure that your vote does not interfere with whomever they have already decided will be the next President. You can bank on it (but not at Goldman Sachs). If you really want to see how easily voter fraud is accomplished, just watch the documentary, “Hacking Democracy.” The writing may already be on the wall that the fix is in for Hillary. Just remember, that if you vote for a third-party or write in who you really think would be the best leader, your vote is not going to throw the election to the other party. Those who advocate voting for a flawed candidate strictly to win are themselves the problem. These people are usually the first to loudly complain when those same flawed candidates later make policies they don’t like. 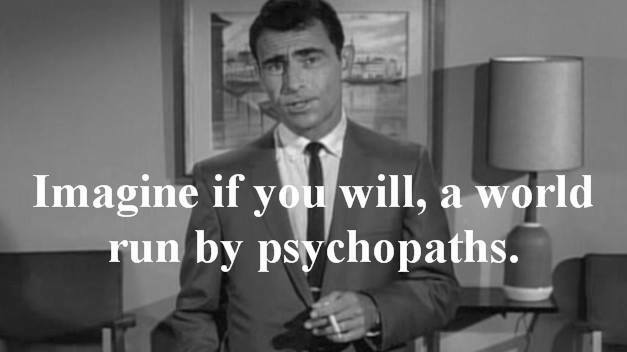 Let’s hold in our higher consciousness the intent that we don’t want leaders who are psychopaths. We don’t want leaders who are narcissists. And we certainly don’t want more leaders who are pathological liars. We the People have been lied to enough.